Local law enforcement and justice officials gather Thursday for the first meeting of the renewed council. Law enforcement officers, judges, jail administrators and elected officials gathered Thursday evening to reconvene a long-abandoned county Law and Justice Council dedicated to introducing reforms and best practices across the regional criminal justice system. A yearlong Spokane County Regional Criminal Justice Commission issued more than 40 recommendations in January for reshaping and enhancing the local justice system. Renewing the council was a top priority. The 18-member panel of local leaders filled a large conference table while community members packed the surrounding room, sitting shoulder-to-shoulder against the walls. "We're very happy with the turnout," says retired Judge Jim Murphy, who helped author the commission's recommendations. "I think there's a well-laid out road that's been suggested." Jacqueline van Wormer, left, and Todd Mielke break down the new subcommittees. The renewed council will take on the logistics of implementing aspects of the commission's 61-page "Blueprint for Reform," which offers suggestions for adapting to new programs and highlights "pockets of excellence" in the current system that should expand to other departments. County Commissioner Todd Mielke, who chairs the new council, says much of the work will focus on transitioning Spokane's system from offense-based programs to offender-based programs, which take the entire individual's risks and needs into consideration for rehabilitation. "It is a very complex system," he says, adding, "Recidivism is a big issue. … [It may be] a central theme that ties us all together." 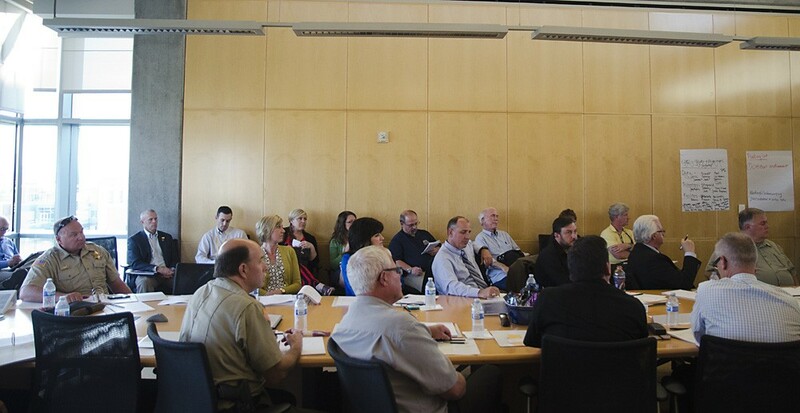 Mielke says the county's research, in partnership with WSU's Criminal Justice department, has found many communities engaging in a similar conversation, but none on the comprehensive scale Spokane plans to attempt over the next five years. Jacqueline van Wormer, an assistant professor with WSU, will serve as a temporary coordinator to help organize and monitor countywide reform efforts. She noted the council has no established protocols, so the members must first decide how they want the council to operate. "This is your process," she says. "This is your group." 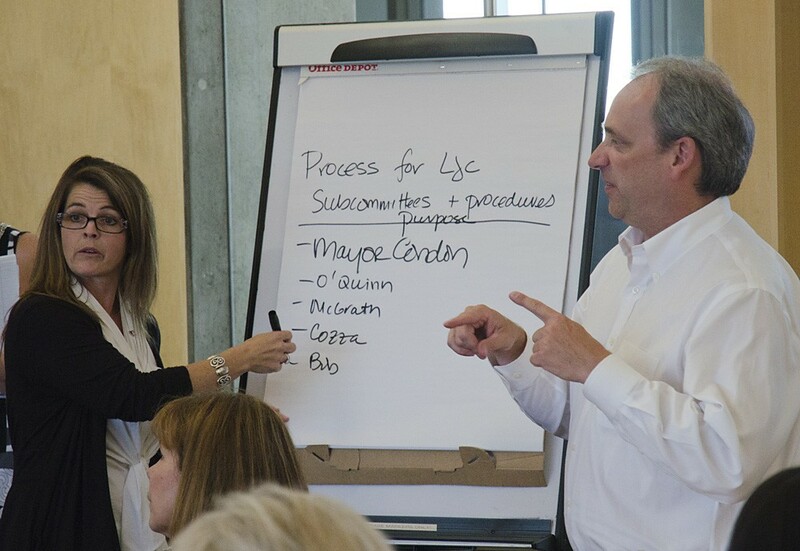 Members voted to establish five initial subcommittees to start identifying priorities and gathering research. The council expects subcommittees to have eight to 12 members. Those subcommittees include: Goals and Objectives (which will also address process and organization), Data (for identifying problems through statistics and measuring successes), Technology (for targeting obsolete equipment or implementing new systems), Facilities (for evaluating and prioritizing infrastructure needs), and Risk-Needs (for addressing the offender assessment programs). Mielke and others emphasized they would like to see local citizens and advocates seated on those subcommittees, not just council members. For information on joining a subcommittee contact Karen Westberg at: kwestberg@spokanecounty.org. Spokane City Council President Ben Stuckart, who sits on the new justice council, argued citizens should be involved at every level of the process, including having sitting members on the council. Spokane Valley also asked for an additional council seat for a representative from their city. Van Wormer says she will start organizing the structures and members for the subcommittees. She also plans to send out information on what other law and justice councils have done in other parts of the country. The council plans to meet again in mid-September, and van Wormer noted they would probably need a bigger room.